Did you know that arthritis affects more than 1 in 5 adults and 1 in 3 working Wisconsinites? In fact, Wisconsin is one of the states with the highest arthritis prevalence. Fortunately, the Arthritis Foundation is around to provide support, research and resources to help those affected by the condition. One of the ways the Foundation funds these programs is through the annual Run/Walk to Milwaukee Irish Fest. This year’s race takes place on Saturday, August 16 at 10am at the Milwaukee Lakefront. 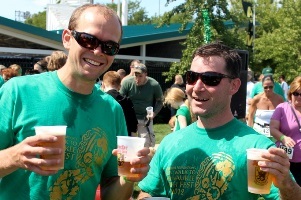 Can you tell us a bit about Run/Walk to Milwaukee Irish Fest? Nearly 2,000 participants come together for the Arthritis Foundation’s Run/Walk to Milwaukee Irish Fest. They enjoy a 5K route along the lakefront in support of the fight against arthritis. Participants receive free same-day admission into the Milwaukee Irish Festival, the world’s largest Irish festival, courtesy of Milwaukee Irish Fest! They also receive a free Sprecher beer after the race (for those 21+). What is the history of the race in MKE? The event was originally held by Columbia Hospital before they merged with St. Mary’s. After they merged they didn’t have enough funding for the event and a former board member that was heavily involved with the hospital decided to recruit the Arthritis Foundation. Since then, the Arthritis Foundation has proudly hosted the event every August. What makes this race different/unique? The most unique thing about the Run/Walk to Milwaukee Irish Fest is that it is put on through a partnership with the Arthritis Foundation and the Milwaukee Irish Festival. The partnership allows for the Irish theme and provides the wonderful perk to participants of getting same-day entry into the festival. 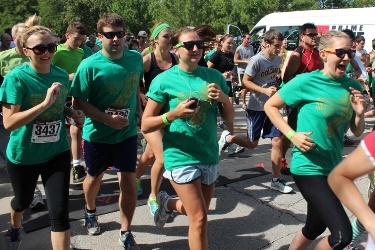 Additionally, the Run/Walk to Milwaukee Irish Fest is one of only two timed 5K events held in Milwaukee each year by the Arthritis Foundation. The course takes participants along the scenic Milwaukee lakefront. The route is mostly flat. With the event being in August, temperatures can get very hot. Participants should make sure to stay hydrated. Are there any overall and/or age group prizes awarded? Medals are given out to the top three overall male and female finishers. Additionally, medals are given to the top three male and female finishers by age (10 year age categories from 10-80) There are also awards for best costume, most spirited team, top fundraiser and top fundraising team. Can you tell us a bit more about the race’s charitable partner, the Arthritis Foundation? The Arthritis Foundation coordinated the entire event. By hosting the Run/Walk to Milwaukee Irish Fest we are able to raise funds for the Arthritis Foundation. The Arthritis Foundation uses funds raised to advocate on behalf of the more than 50 million Americans living with arthritis, fund life-changing research, and provide around-the-clock access to resources people need to minimize the impact of arthritis on their lives. 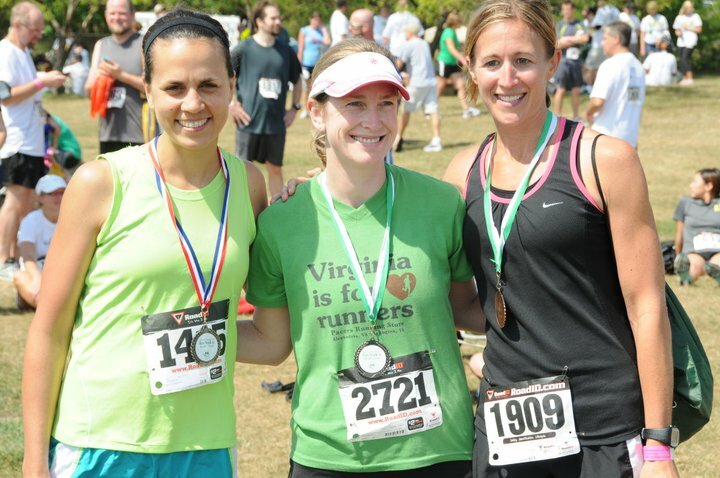 Do you have any race fundraising tips for participants? The first rule of fundraising is ask. It sounds so generic, but when asked why they didn’t donate, most people responded by saying they were never asked. Let family, friends and co-workers know that you are participating in the race. Let them know that the race benefits the Arthritis Foundation. Explain to them that arthritis affects people of all ages. In fact, thanks in part to donations received through the Run/Walk to Milwaukee Irish Fest, the Arthritis Foundation is able to host a camp each summer for children living with arthritis right here in Wisconsin. Thanks for all the great information, Rachel! For more information about Run/Walk to Milwaukee Irish Fest or to register for the event, visit http://runtoirishfest.kintera.org. This entry was posted in Race Previews and tagged Milwaukee Races, Run/Walk to Milwaukee Irish Fest, Running in MKE, Upcoming Events. Bookmark the permalink.